Asking anyone to name the best coffee is a little like asking someone to name the best wine. At best, the answer will be subjective. There are so many different wines, from so many different countries and growing regions. And it's the same with coffee. 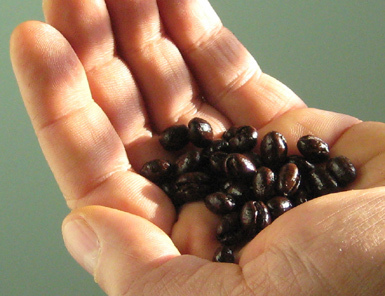 Coffee grown in different regions all have their own qualities. And within regions, varied weather and soil conditions can add unique flavors to coffee beans from a relative small area. This is what makes coffee so interesting. There is such a wide variation in tastes and aromas. And, of course, the roasting of the beans has a significant effect on the final result. Bad roasting can make a wonderful coffee bean taste mediocre. As for the "best coffee", one way - but not the only way - to determine that is to look at the prices being charged. For instance, 100% Kona coffee from Hawaii is a lot more expensive than most coffee from Brazil or Colombia. And it certainly has an excellent reputation for quality. But whether Kona is the "best coffee" for you will depend on your own preferences. You may prefer the taste of coffee from Kenya, or Ethiopia, or from the Philippines. Or you may fall in love with a coffee that is grown within the area of just a single plantation somewhere. Recently I was speaking with a group of world-renowned coffee experts and I asked them which coffees they considered to be the best. Three of them gave me an answer. One mentioned a coffee from Indonesia, one from Kenya, and the third from Central America. There are no rules. Just follow your taste buds. One last thing... Whichever the beans you consider to be best, you'll only get the best of them if you take care with how you store, grind and brew your coffee. And if you really get into the art and craft of making great coffee, you might be interested in which brewers the professionals use. Finding the best coffee is an adventure, and the more you learn, the more interesting the journey becomes.